Echoing mid 19th century revolution, the bold plotting against the foreign influence over state affairs, the saddest love story, art and history spiced with a hint of scandal are all brought together under the same roof: that of the Nicolae Balcescu Manor. Like many of my fellow countrymen, the few things that I can remember about Nicolae Balcescu are the RON 100 paper banknote issued in 1966 as an homage to the revolutionary he was and the modern history classes. What I particularly remember is one Romanian literature class in which the teacher discussed Balcescu’s masterpiece, Romanians under the rule of Michael the Brave – natively known as Mihai Viteazul. This ruler of Oltenia was greatly admired by the author as the legitimate predecessor of the greater Romanian Nation. Depicting the execution of the ruler, he wrote: “[at the sight of the mighty man, the headsman refused to complete his task.] This wondrous happening made the gathered crowds quiver as if struck by an electric shock.” This is how I learned the concept of metaphor, yet that continuous state of awe and tireless zeal describe, under the form of one giant metaphor, the short and troubled existence of Nicolae Balcescu. He was born in 1819 as the fourth child of a boyar family. His mother, Zinca, famous for her self-determination and skillful treatments of leukoma, was widowed not long before she gave birth to her fifth and last child. 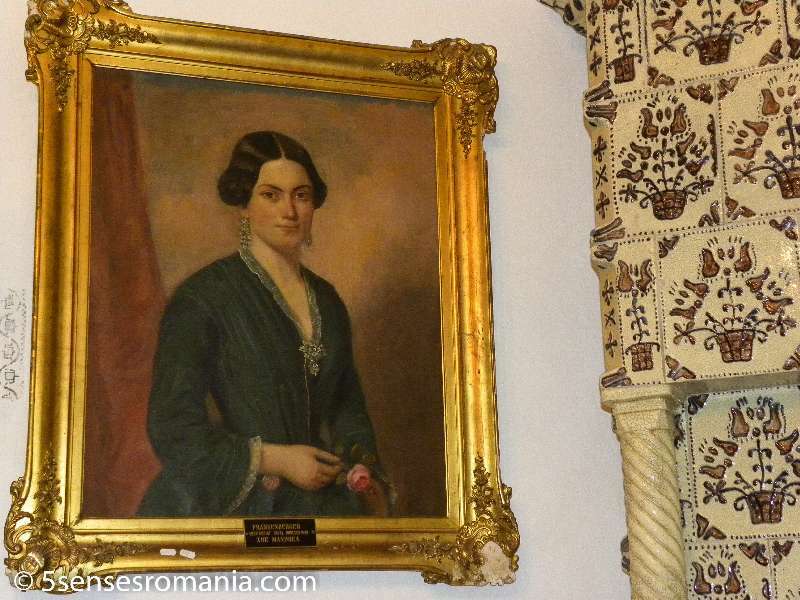 In spite of her status and financial difficulties, Zinca raised her children as important figures in the Wallachian history and she succeeded in completing the construction of the Balcescu Manor, started by her father in 1824. Nicolae, a slender and black-bearded young man with an ascetic expression and piercing eyes, did his best to continue the family’s legacy as tempestuous fighters (in picture, the third painting). Being a passionate student of history, he joined the Wallachian Army, but he soon grew disappointed with the political and social context of the time. This led him to conspire twice against the governing rule subdued to the Russian and Ottoman influence, a reckless action which cost him five years of rough imprisonment. Later on he formed the Brotherhood – a Freemason secret society, traveled to Paris where, inspired by the French uprising, he began his writing activity, and prepared the 1848 revolutionary movement within the divided Romanian countries. Unfortunately, the so-called Spring of Nations was quickly consumed by corruption and personal interests and it was bloodily crushed by the Ottoman forces. Balcescu, tired and ill, took the long road of exile. To the great resentment of his family, he was refused the right to enter the country in order to say goodbye to his dying mother and his beloved Luxita. Fondly nicknamed Luxita, Alexandra Florescu was a beautiful, divorced and miserable noblewoman, well known to the social elite. The chronicles of the time state that the passionate and adventurous love story she shared with Nicolae somehow fulfilled her until she secretly gave birth to their only child, Bonifaciu, in the same year of the revolution. No sooner than 1851 did Nicolae learn about the existence of his son, nonetheless he wasn’t able to see or officially acknowledge him, as he died of tuberculosis two years later, in Palermo. Today the manor represents the undeniable proof of almost two centuries of the pain and tribulations of a proud and united family which stood tall in times of change. I was researching for the Vineyards Hill tours when I accidentally came across the Balcescu Manor. Serenely placed at the edge of the forest, it is poorly promoted despite the perfectly preserved interiors and architecture. However, there is a small and dedicated team which does its best in recreating the atmosphere of olden times. The only heir whose direct successors live to this day was Barbu Balcescu, the youngest brother who carried the artistic legacy of the family. It is well known the fact that the main attractions for any traveler to the city of Craiova were the Madona Dudu Cathedral, the Bibescu public gardens and without a doubt, the Balcescu daughters: Olga, Zoe and Ana. All three of them were trained musicians, writers and painters, but it was up to Zoe (in picture), the amazingly beautiful polyglot, to turn the manor into a creative melting pot for the writers’ elite including national poet Mihai Eminescu. 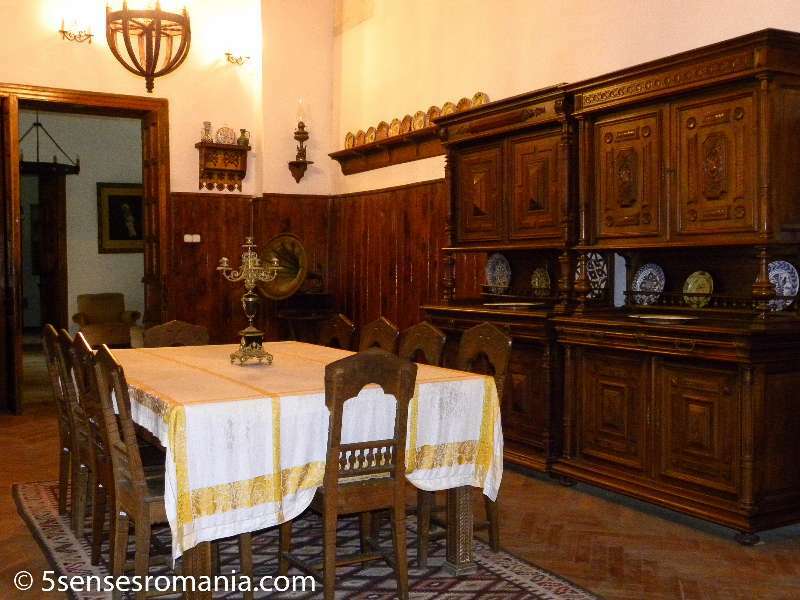 One by one, I crossed the high-ceiled rooms and the Gothic-inspired hallways breathing in the cold air and running my fingers over the 150-year-old furniture and traditional carpets from Oltenia. Nothing has changed. I climbed the narrow wooden staircase which mysteriously squeaked at my footsteps up to the belvedere. Apart from some of the newly built houses, the unaltered sight encompasses the gardens and the small church of Maramures (in picture), including the exotic mulberry tree planted during the time of Radu Mandrea. Zoe’s youngest son, Radu, extended the Manor and, in 1948, generously donated to the Romanian State this amazing time capsule. For two short hours, I have completely forgotten I was wearing blue jeans and sneakers while wondering the thick-walled manor built in the Brancovenesc architectural style. At a certain moment, I genuinely had the impression that an imaginary dress swished around my waist and that the samovar was loudly boiling in the dining room (in picture). Maintaining the perfect atmosphere, the team at the Manor not only offers guidance through the museum, but also organizes entertaining workshops for children: the history of handwriting and medieval weapons; archeology and Romanian traditional cooking. There is an admission fee at the Manor, also for the workshops which can be easily adapted for adults; moreover, I highly recommend the bicycle tours around the forest and hills surrounding the area. 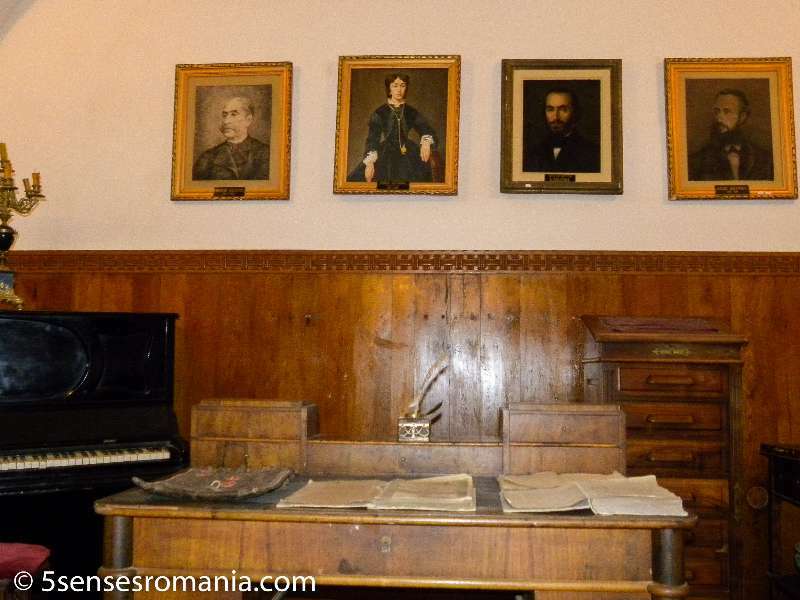 The Nicolae Balcescu Manor is located at a merely two hour drive from Bucharest on the way to Ramnicu Valcea, right at the entrance to Milcoiu village. I already explained how to get to Ramnicu Valcea in my previous articles describing Oltenia, however, you shall not reach the city by the Olt River. Right after you reach Milcoiu, turn left and follow the signposts through the most picturesque road up to the Manor which may give you the chance of spotting ox-drawn hay wagons on the way.